Phone National Rail enquiries via their helpline contact number 03457 48 49 50 to enquire about cheap train fares, to purchase a ticket and to plan your journey. You can also use this service to find which railcards you are eligible to use whilst on the network and to get details on any upcoming engineering works which may delay your journey. Similarly if you have been significantly delayed you can call this helpline to get advice on how you can claim compensation from the rail operator. You can also call this number to check if there are any seasonal alterations to the regular timetable from your station, helping you when bank holidays and Christmas comes around. Finally if you require accessibility support whilst traveling on the UK railway network due to a disability you can phone this helpline for assistance when boarding and disembarking from the trains. Phone National Rail for free by calling their freephone contact number 0800 022 3720 to make a complaint about incorrect timetables provided on their website, where you can also register your dissatisfaction about the conduct of a member of their staff. Similarly if you ordered a ticket using this service and it hasn’t arrived to you in the post then you can call this helpline to get a refund. Alternatively if you would like to make a complaint about a specific delayed journey, station or ticket office then you should contact the rail operator directly by using the appropriate phone number from the table below. 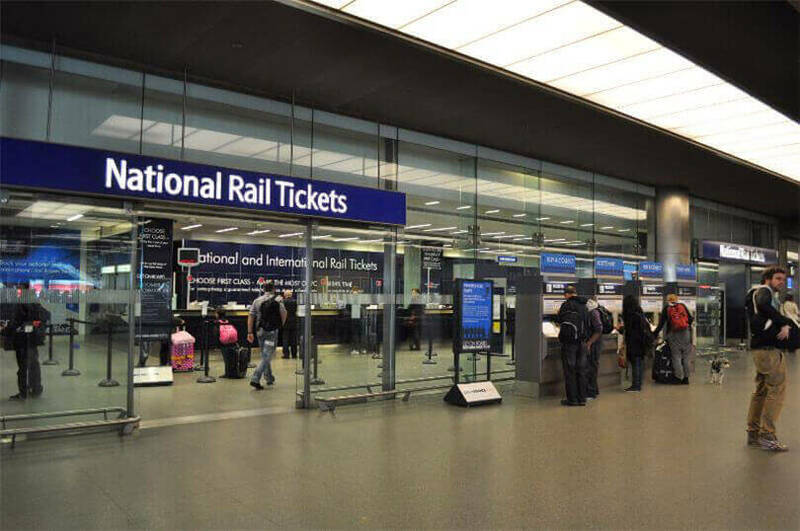 Contact National Rail on their TrainTracker phone number 0871 200 49 50 to get like arrival and departure information from any train station within the UK, helping you to plan your journey in detail. Furthermore you can also use this service to get information on how much your ticket will cost you thus assisting you in finding the best value when travelling on the rail network. Calls to this telephone number will cost 12p per minute from UK landlines, however calls made from mobiles may cost substantially more. Alternatively if you would prefer to receive train times and information about ticket prices via SMS text message you should text the name of the station you are at to 8 49 50, this will cost you 25p plus a standard rate message. 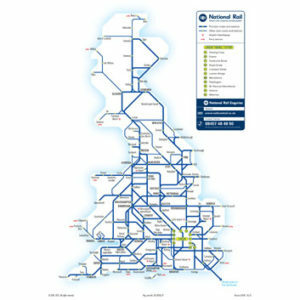 National Rail offer a number of ways in which you can contact them without sitting on hold when calling their telephone helplines, for example you can send them online messages through email and social media profiles as well as in conventional postal mail. Should you wish to send a message to National Rail via email you should use their dedicated web address customer.relations@nationalrail.co.uk, where you can get confirmation of train times listed on their enquiries website as well of confirmation of ticket purchases. If you would like to write to National Rail you should send your letters directly to their London head office by using the postal address below, however you should be aware that this will usually take longer than calling them or corresponding with them via email. National Rail operates official profiles on some of the world’s most popular social media websites, where you can view ticket promotions, live updates on engineering works which may affect your journey and get customer service guidance when planning your journey across the UK railway network.